Jinjiang Inn Nanjing Road Pedestrian Street (East Asia Hotel) is located at No. 680 East Nanjing Road. Opened in 1917, it has nearly 100 years history so far. In 2013, the Hotel was re-decorated. It used to be Shanghai Xianshi Company, one of the four earliest companies in Shanghai, and one of the famous old hotels in Shanghai as well. The 10 completely new upgraded items: the 4S Hotel adopts whole series of warm tone and soft lighting design, enabling more cozy and comfortable guestroom design; thickened Simmons Mattress, double-layer mattress, 7-hole Somerelle synthetic quilt and pillow, fully improving the comfortable sleeping experience; the hidden safe box is set to provide storage of valuables; the writing desk and chair designed according to human engineering provides comfortable business office conditions; the convenient integrated electric kettle design and the coffee and Lipton Tea Bag provided for you free of charge allow you to have relaxed moment; the bathroom partitioned by frosted glass offer clean environment; Rain Forest shower unit is provided with strengthened water pressure; the integrated hair dryer can be easily used; Lux Hair & Body Shampoo are used with toilet requisites fully upgraded, so that you can relax the tired status after the whole day. 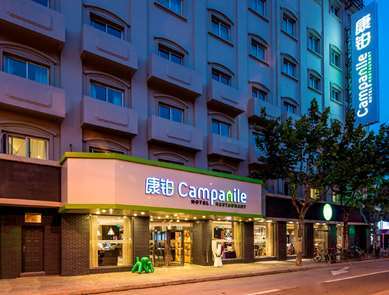 The Hotel is located in prosperous Nanjing Road Pedestrian Street Business District, boasting convenient rail transit radiating all corners in Shanghai. The Hotel is only 3mins walk from Exit 19 of People's Square Station of Metro Line 1, 2 and 8. Metro Line 1 connects Shanghai South Railway Station in the south and Shanghai Railway Station in the north, passes the famous Huaihai Road Commercial Street, Xujiahui Commercial Street, and Hengshan Road Bars Street. Metro Line 2 connects Pudong International Airport in the east as well as Hongqiao International Airport and Hongqiao Railway Station in the west. It passes Lujiazui Financial Area, Oriental Pearl Tower, Jin Mao Tower, Shanghai Global Financial Hub, Guojin Center, Zhengda Square, Oceanarium, Shanghai Science and Technology Museum, Jingan Temple and Century Park. Metro Line 8 provides access to China Art Museum, Wujiaochang Business District, Yu Garden, and Xintiandi, etc. 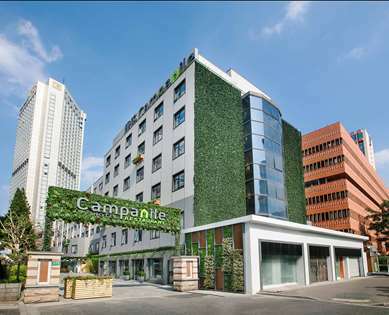 The Hotel is about 6mins walk from East Nanjing Road Station of Metro Line 10. Adjoining People's Square, Yu Garden, Shanghai Grand Theatre, Madame Tussaud's, and is only 10mins walk from the Bund---the International Architecture Exhibition Group featured by brilliant landscape. 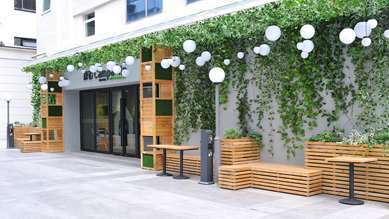 Around the Hotel, there are many high-end business districts, where catering, snacks and entertainment facilities are complete. Jinjiang Inn Nanjing Road Pedestrian Street (East Asia Hotel) is a cost-effective hotel for business men and the best choice for them to enjoy entertainment and shopping, taste delicious food, appreciate the essence of Shanghai places of historic figures and cultural heritage, and get physically and mentally relaxed. The Hotel has provided you with single rooms, standard rooms, business room, double rooms as well as the suites, luxury suites, duplex suites and business suites of various types, etc. specially designed for business men. Welcome to Jinjiang Inn Nanjing Road Pedestrian Street (East Asia Hotel). Hair dryer and socket convertor can be borrowed at reception desk.